THE HISTORIC TOWN OF COLUMBIA. "ABOVE THE FOG AND BELOW THE SNOW!" Misc. Index by touching the nugget! I came to Columbia in 1999 to see about being a proprietor. 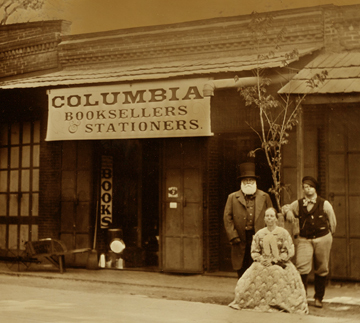 I have closed down Columbia Booksellers & Stationers. 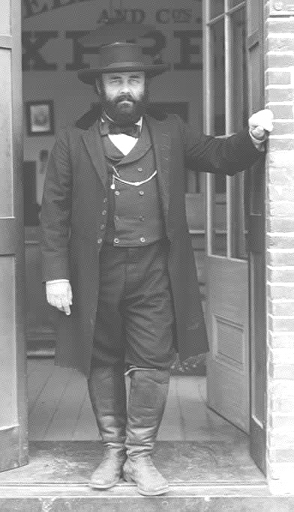 Floyd D. P. Øydegaard was the proprietor. taken on the day he visited the capital. Floyd D. P. Øydegaard is the WebMaster.